This week's selection is Unicorn Store. Brie Larson's directorial debut premiered during the 2017 Toronto International Film Festival. As of April 5, the film is now streaming on Netflix. If you've seen Captain Marvel, you already know that Larson commands great chemistry with Samuel L. Jackson. When you see this film, you know why. It's as if the two have them have continued from where they left off. Clearly, the two of them are not playing Carol Danvers and Nick Fury in this film. Nor is this a Marvel Studios release. But don't let that stop you from taking a chance on Larson. 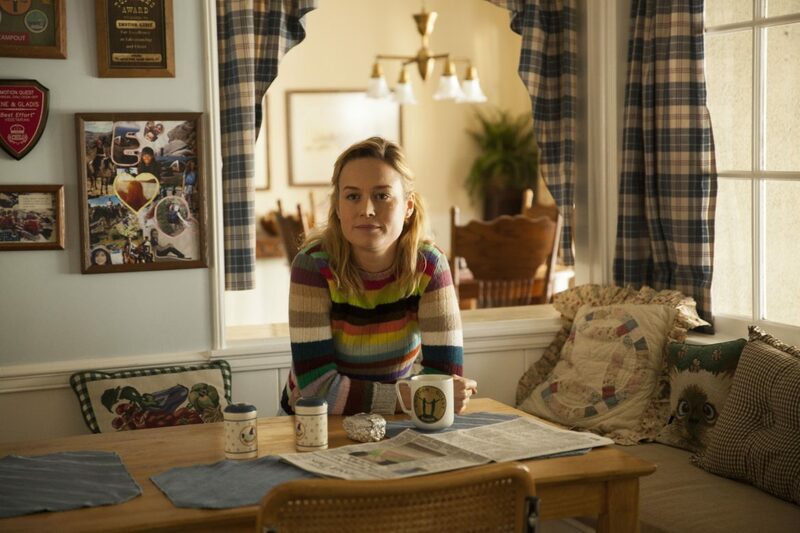 Kit's (Brie Larson) dreams of becoming an artist hit a road block when she is forced to quit art school. Art is so subjective so it really isn't her fault so to speak. As a result, it's back home where parents Gene (Bradley Whitford) and Gladys (Joan Cusack) turned her childhood room into a gym. Basement bedroom it is! Spending what feels like days on the couch, Kit's parents do what they can much to their avail. Amid all the depression commercials, Kit spots one for Temporary Success. It comes as no surprise that this ad is for a temp agency. Kit gives it a shot and ends up working the copy machines at an office. It's here where she meets Gary (Hamish Linklater). The two of them bond really quick. When Kit least expects it, a mysterious card manages to pop up on her desk. This leads Kit to make here way to The Store. It's a mysterious place at first. We soon learn that The Salesman (Samuel L. Jackson) runs the place. He's here to give Kit whatever she wants but it comes with a catch. What else does Kit want but a unicorn! Getting this unicorn will not be all that easy. Basically, it requires a checklist of items that must be completed.